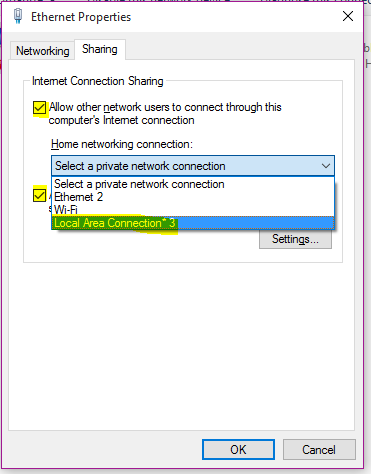 Ever been in a situation when you want to share your Windows computer’s internet connection with your mobile or any other device? Even in today’s world, not every place has a Wi-Fi connection. Some still rely on Ethernet connections. So what if you don’t have access to a Wi-Fi router and have one Ethernet cable but more than one device to use the internet connection on? Fortunately, any modern Wi-Fi device today can turn into a WiFi hotspot i.e. act as a WiFi router. 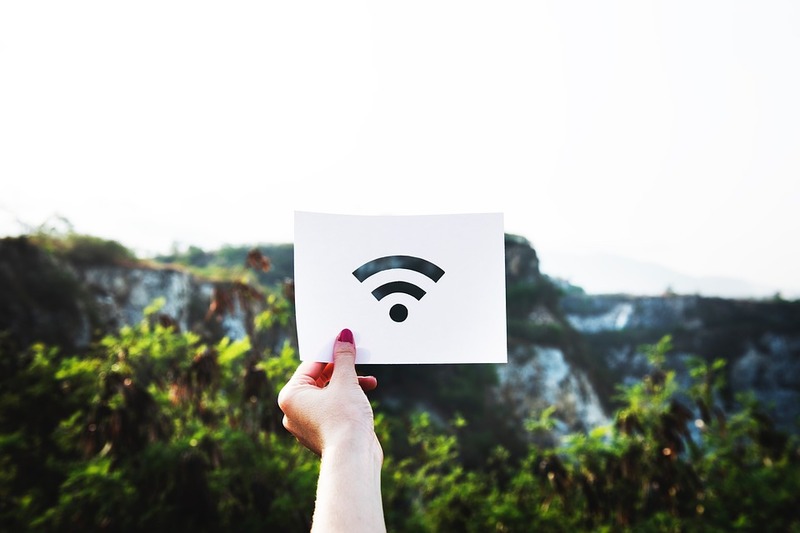 It may not be a permanent solution to your internet problem as it will require your device to be active as long as you want to use the internet connection, but it is a good temporary hack to know. 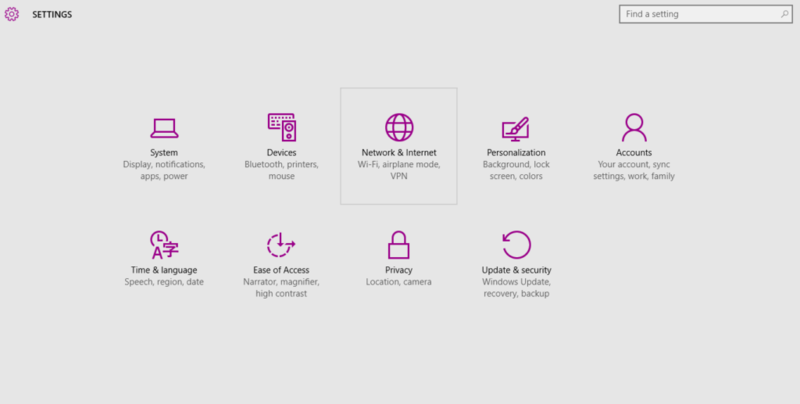 While it is fairly easy to turn your smartphone (Android or iPhone) into a hotspot, it is not as simple on a computer running Microsoft’s Windows 10 operating system. Open Settings by pressing CTRL+I. In the left pane, check if you can see Mobile hotspot. If no, then skip to step 6 If yes, then click on it. Switch the toggle button to On. Click on Edit to set your Network name and Password. If you don’t see the Mobile hotspot option, open the Network and Sharing Center by right-clicking on the WiFi connection button. 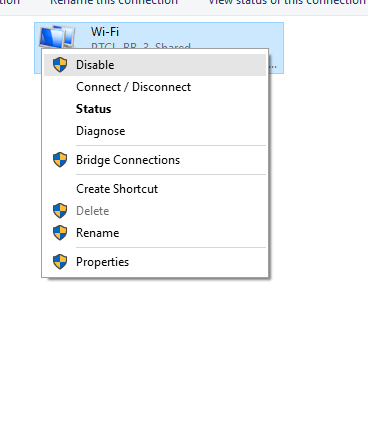 Right-click on the Wi-Fi icon and select Enable. Now, go back to Step 1. 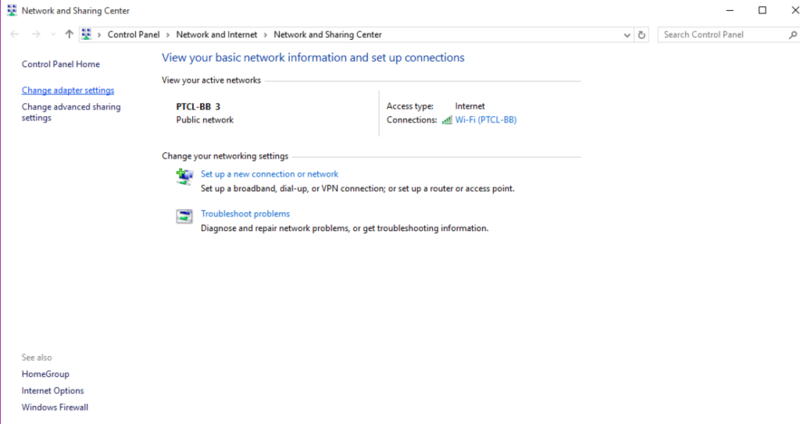 If this doesn’t work for you, you can also use the command prompt to manually turn on the WiFi hotspot feature. 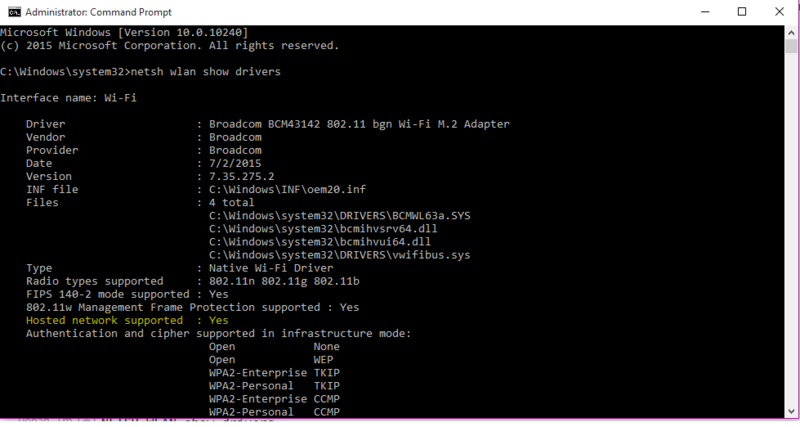 First, you will need to check if your network driver supports sharing WiFi over a hotspot. 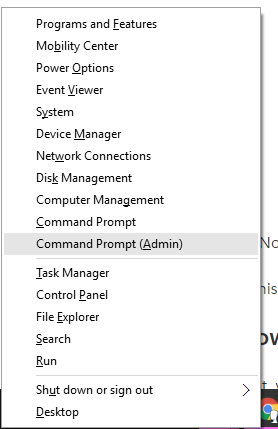 Press START+X and then click on Command Prompt (Admin). 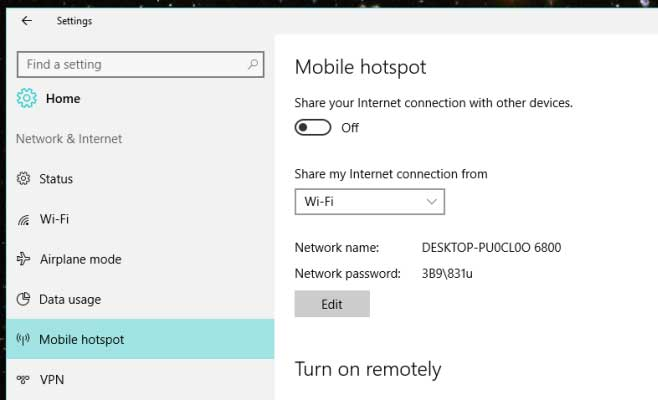 If it does, then your PC supports sharing Wi-Fi over a hotspot. Follow the next few steps to achieve it. 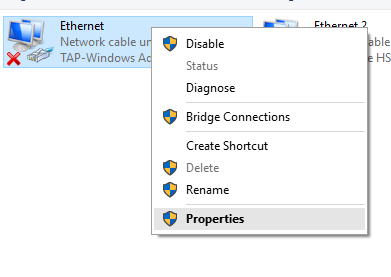 CTRL+X and select Network Connections. 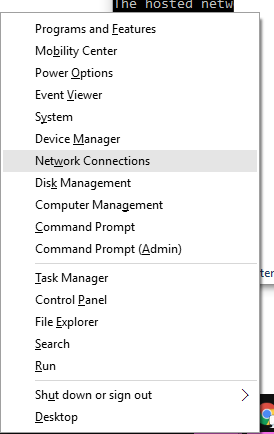 You should now see a Microsoft Hosted Virtual Network connection there. Check both the boxes and select the Local Area Connection in the drop- (highlighted in yellow below)down box and then select Ok.
That’s it, you should now be able to connect to the WiFi network via any device. To turn the hotspot OFF, you can use the following command.